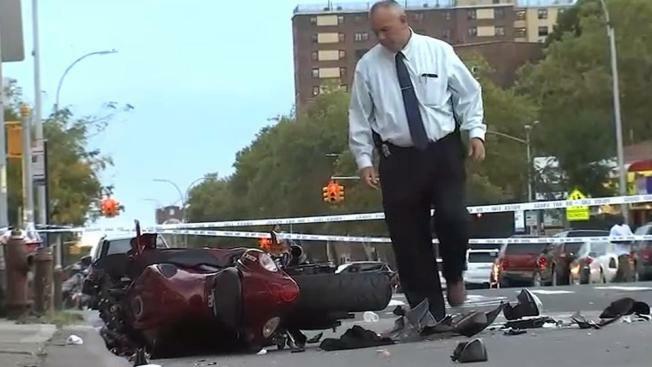 A motorcycle crashed into a car that was pulling a U-turn in Brooklyn on Saturday, killing the driver of the motorcycle, police said. Five other people were taken to hospitals for minor injuries, police said. The vehicles crashed at Belmont Avenue and Mother Caston Boulevard in Brownsville shortly after 4 p.m., police said. Julius Holloway, 47, was driving a Suzuki motorcycle when it struck a Nissan that was making a U-turn in the intersection, police said. 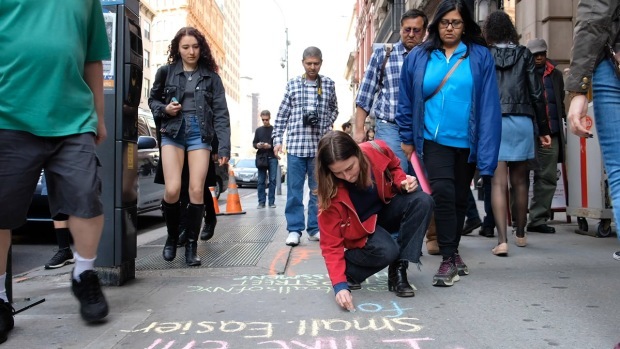 Holloway lived about five blocks from the crash site.